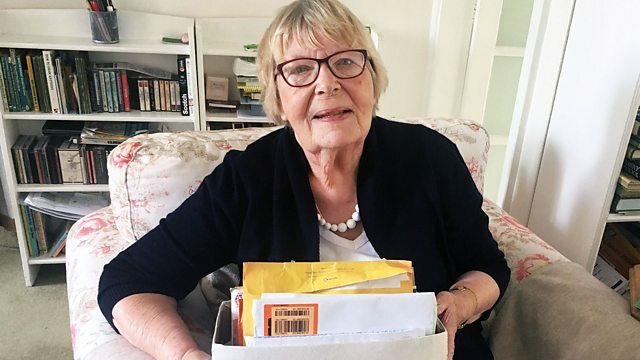 Ninety-year-old Barbara Smith loves donating to good causes but has discovered some of the UK's biggest charities have traded in her name and address. Barbara investigates. 90 year-old Barbara Smith loves donating to good causes, but has discovered some of the UK's biggest charities have bought and sold her name and address. It's meant she's been inundated with letters from charities she's never heard of. In this programme Barbara, with the help of her Producer, Lydia Thomas, investigates which charities have traded in her personal details, uncovering a web of buying and selling, and asks the charities why they did it. The charity sector has been under fire from the government about how it raises money. After the death of the poppy seller Olive Cooke, charities were criticised for harassing elderly and vulnerable people, calling people registered on a no calls list, and buying and selling donor's personal details in order to send them unsolicited letters. Barbara discovers that women of her age are particularly lucrative for charities, and some charities have taken advantage of that generosity. Smile Train, a charity that admits to sharing Barbara's data with other charities explains to Barbara why they traded her name and address - a practice they have since stopped. Barbara has donated to Oxfam every month for 30 years; Mark Goldring, the charity's Chief Executive invites Barbara to Oxfam's offices to show her the work the charity does. Barbara also finds out how the bad news stories about charities, including Oxfam have forced the charity to think about how it fundraises. Barbara interviews charity regulators who brought in new rules for charities; Paula Sussex from the Charity Commission, and Michael Grade, Chair of the Fundraising Regulator meet with Barbara. Mark Roy, Chairman ReAD Group.